The easiest way to improve your health at work is to be less sedentary and move throughout the day. Not everyone has the option to simply walk around all day however, there are solutions you can utilize today that will work for you and your employer. Why does it matter? Research has proven that sitting for long periods of time is closely linked with obesity, type-2 diabetes, and an increase risk of death from heart disease and cancer. Excessive sitting has been shown to reduce the body’s metabolism which directly increases blood pressure and blood sugar while reducing the body’s ability to break down fat. Some studies have shown that lack of exercise combined with the stress of the workplace may make the workplace the fifth leading cause of death in the United States. No matter how you look at it, workplace health is an important issue. So what do we do about it? Fortunately, we have a lot of information today that we didn’t have years ago so we can begin making changes that will improve employee wellness as soon as next week. Not all of these steps will work for everyone but by choosing a few, you can significantly improve your own health at work. 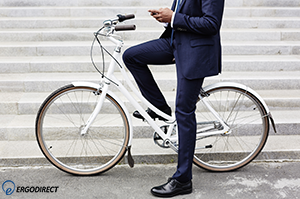 Consider walking or riding a bike to work. How close is your workplace? If it is within a few miles, this may be a good option for you. A study of more than 260,000 people published by the British Medical Journal showed that cyclists had an astonishing 41% less likely chance of dying from heart disease and cancer than those who were not active during their commute. Those who walked or cycled for at least some of the commute had a 25% decrease in mortality over the non-active commuters. It may take a little bit longer but it’s a good way to get the blood flowing before getting to work. If you’ve got a coworker who lives close to you, invite them to join you. 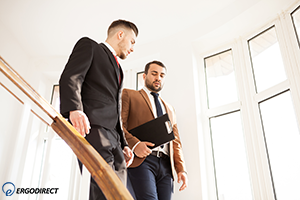 Another easy way to get some exercise in while getting to work is skipping the elevator and taking the stairs when you get to your workplace’s lobby. You don’t have to take the stairs all the way up the first time – just walk up a floor or two before taking the elevator. After a week of this, add another floor. 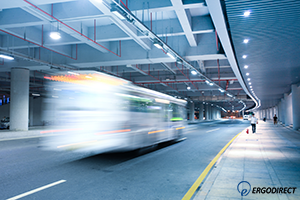 If you commute by the bus, consider getting off a stop before or after the stop you would. Every step counts so it’s worth doing this trick if you’ve got the time. Not everyone has the option to walk around while working – especially accountants, coders, people who work heavily with spreadsheets. 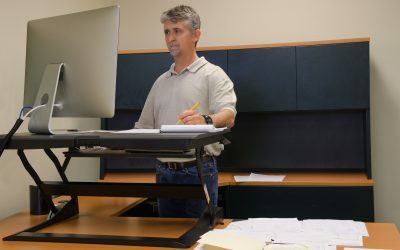 Even for the most intense computer users, it may be worth upgrading their desk to a sit-stand workstation. 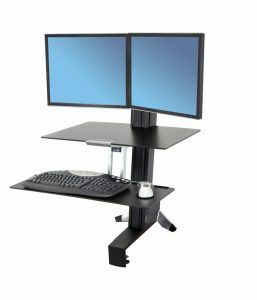 If you decide to make the change, there are options available that will convert your existing workstation, even if you have multiple monitors. 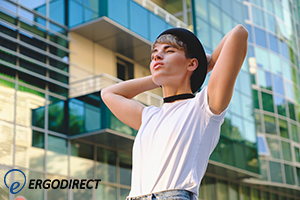 View our available options here. Stretching is the easiest way to quickly relieve body tension. Listen to your body and target the areas that are the most uncomfortable. Start with the spine and loosen your body out from there – shoulders, hips, arms, legs, wrists, neck, fingers. 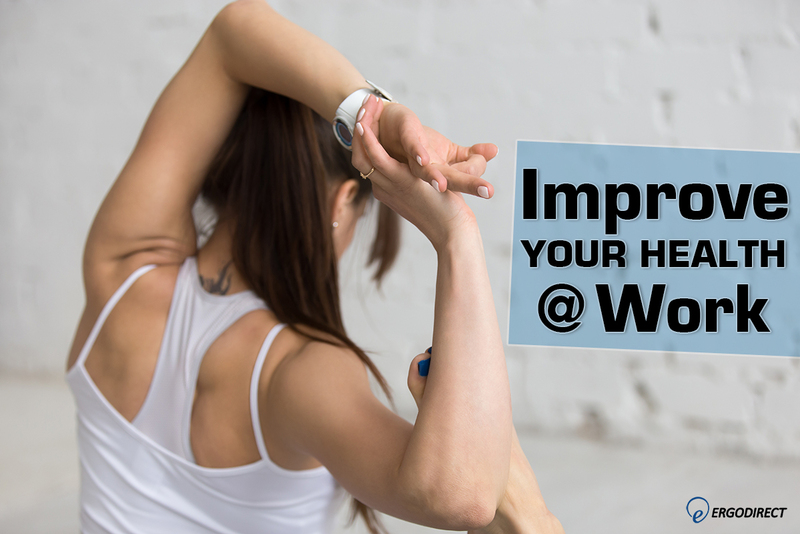 UCLA came up with a guide for easy stretches designed specifically for the office. If you have a private office, get up from your desk and walk around while talking. 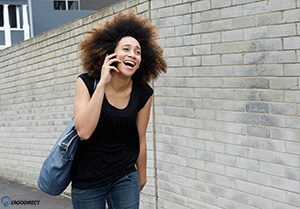 If you have the option of taking calls away from your desk, see if you can borrow an empty office so you can walk and talk. I’ve got bad news – turns out that exclusively standing at work is almost as bad for your heart as those who smoke every day. 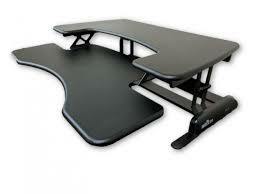 The good news is, this can be minimized by walking, sitting, and shifting positions. The simplest recommendation is upgrading your shoes. 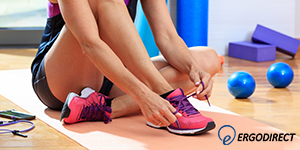 Try out walking shoes with arch support (Asics, New Balance), purchasing quality soles (Dr. Scholl’s), or purchasing specialized footware (Kuru). 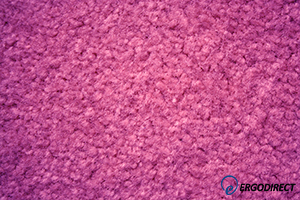 If you’ve already got an awesome pair of shoes but are still experiencing discomfort, consider getting a standing mat or a carpet for your desk. This will distribute your body weight evenly across your feet which eases the stress points on your feet and knees. 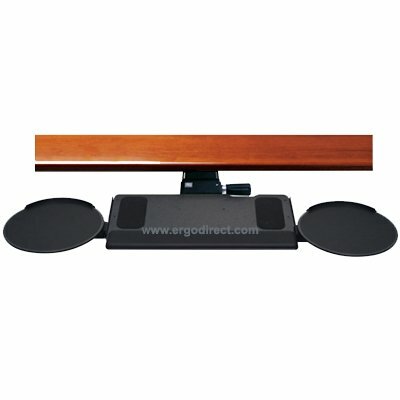 At ErgoDirect, we carry a number of standing mats that we recommend for this usage. Sitting down is always an option when you’re experiencing pain from standing. 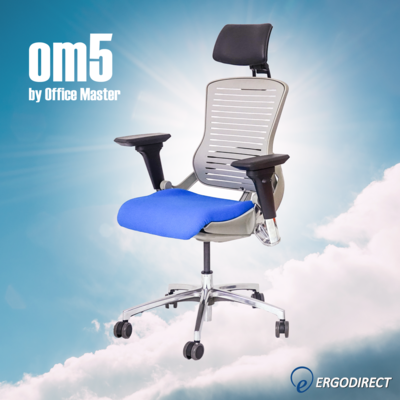 At ErgoDirect, we have sitting solutions for all types of work situations – tall/drafting chairs, ergonomic task chairs, guest chairs, and even kneeling chairs. If you have a question about which type of chair would work best for your work situation, give us a call or reach out to us via the chat window on our store page. I’m living for the day where people will be using exercising balls in the office haha.